It has been so long since I wrote anything here, and for that I apologise. The last few months have felt so busy and have flown by in a heartbeat. I’m sure it’s probably the same feeling for you too! So much has been going on since my last podcast and post, but it would take forever to catch you up so let’s pretend that we just spoke last week, yes? I’ll catch you up from there! 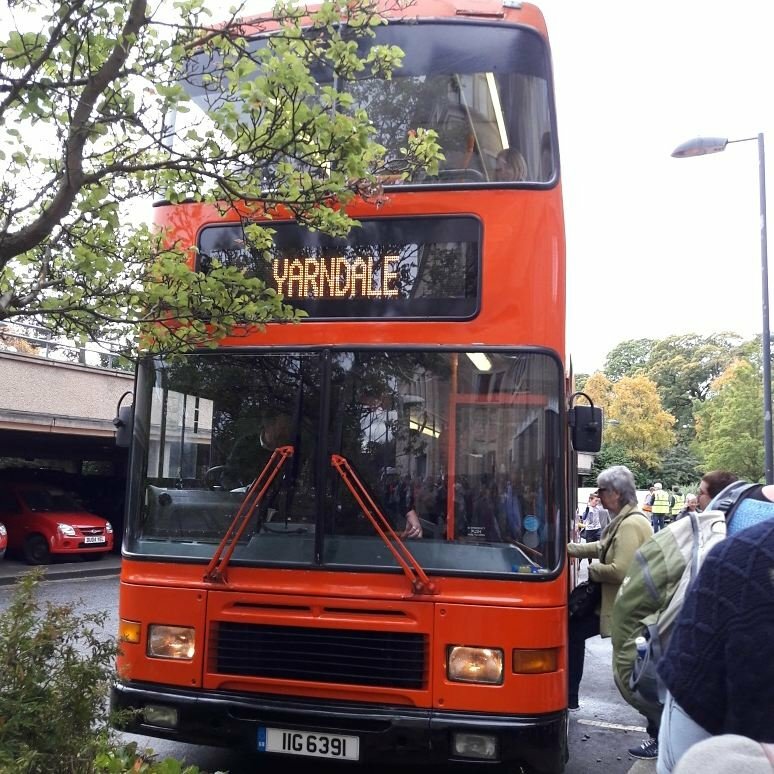 Last Saturday, Zoe and I went to Yorkshire and visited Yarndale. It was my first visit to that show, but we had heard so much about it that we just really wanted to see it for ourselves. The journey was absolutely horrific; I think we were stuck on three different motorways at various points, and instead of the 4.5 hours that Google Maps told us it would take, it ended up being nearer to 8! 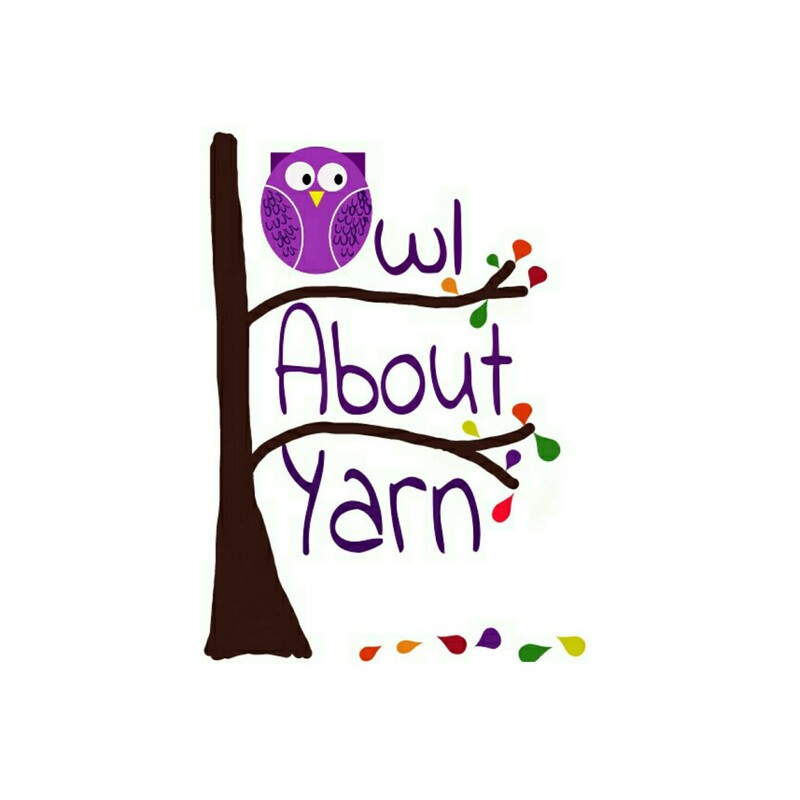 So, starting off exhausted is not ideal, but the yarn fumes kept us going! 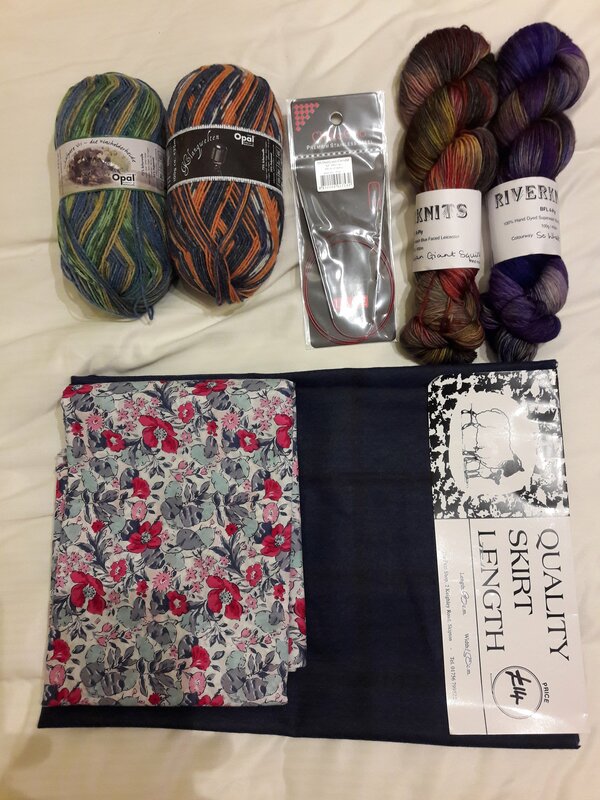 I bought a skirt length of wool fabric from a local shop which had a stall, as well as a length of Liberty Tana Lawn which I plan to use to make myself a top. My bags were actually remarkably light on yarn. The only yarn I ended up buying was some bombproof Opal to make mansocks for Mr OwlAboutYarn. We decided to make a weekend of it and so had tickets for both days of the show. 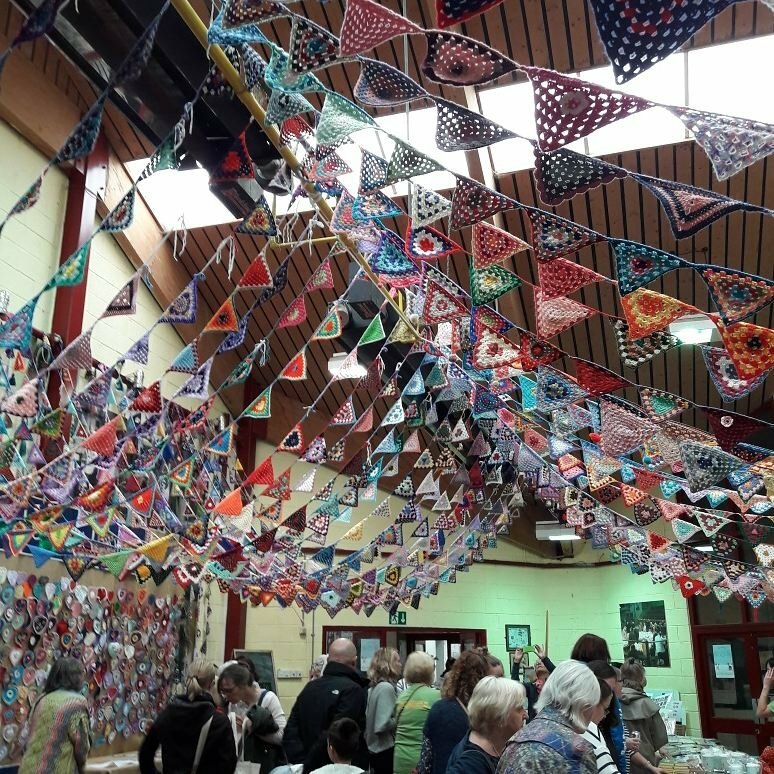 The Sunday was definitely less frantically busy which meant that there was a bit more space to look around the stalls, and a little more time to talk to the people we knew. We set off early afternoon to head home, and finally got back late evening (after a disappointing stop at Tamworth services which was fully and hilariously chronicled by Zoe on her vlog – I think mild hysteria brought on by exhaustion had set in by then!! ), ready to collapse into bed and sleep for half a week! 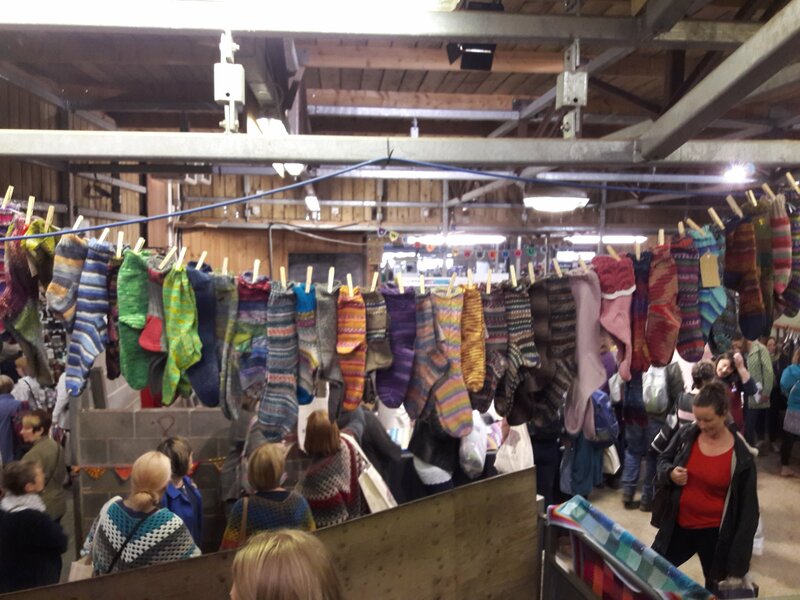 All in all, it was nice to see all the lovely people there (although we did somehow miss a couple of people I would have liked to chat with), but it wasn’t so easy to get around as Wonderwool Wales, and the nature of the built in pens meant that the stalls were very crowded in. 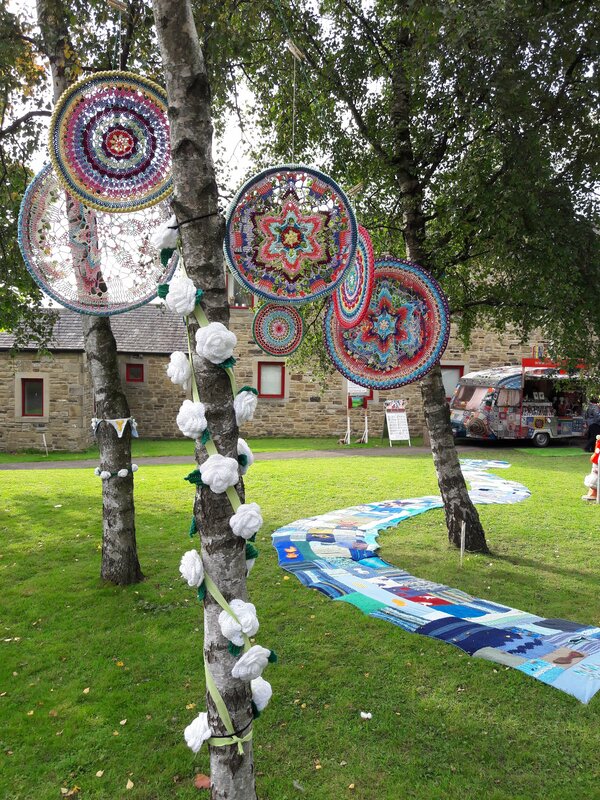 We liked that the organisers had provided much more seating than I’ve become used to at a yarn festival, and the effort that people had gone to to crochet bunting, hearts, mandalas and bollard covers was outstanding. Queues for food were horrifically long, but I think that’s the same at pretty much any event like this that you go to. 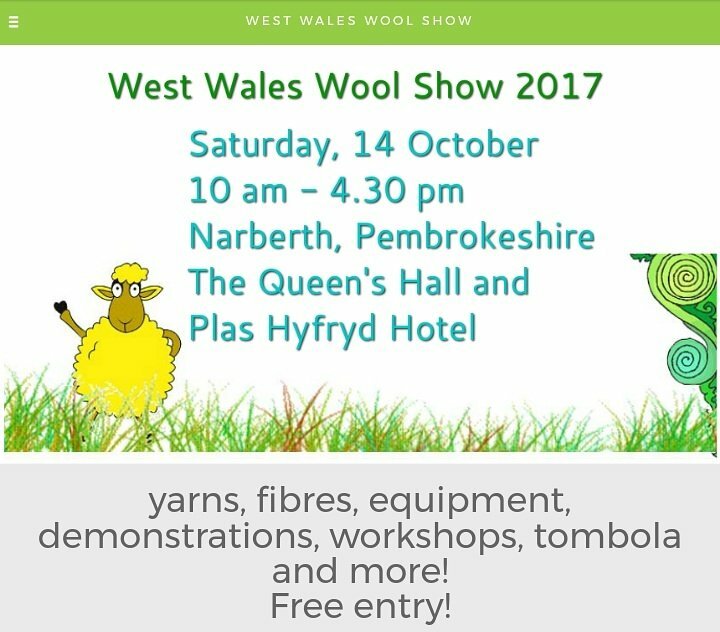 My next event will be in a fortnight when I vend at West Wales Wool Show. 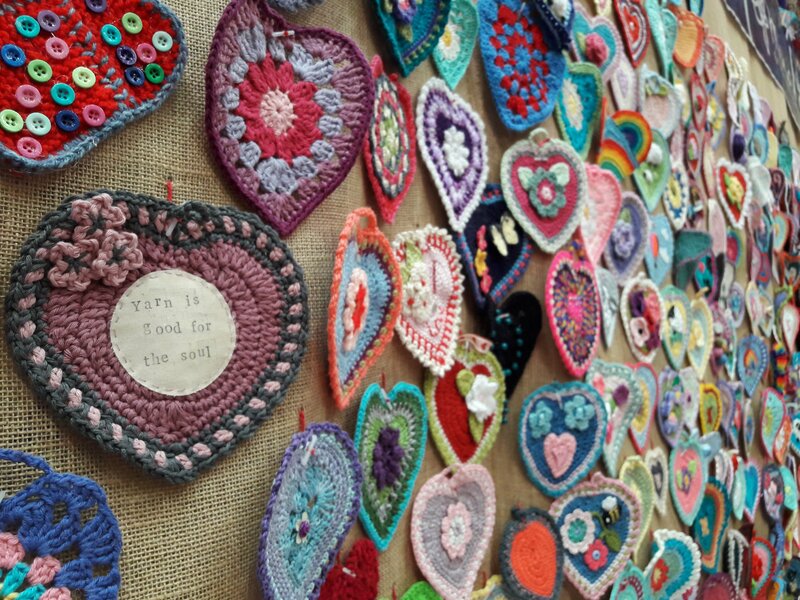 It’s a one day event in Narberth, Pembrokeshire, and I went for the first time last year and loved it! 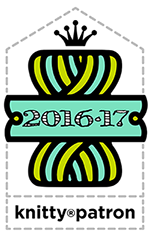 This next fortnight will be spent dyeing, carding and sewing in preparation! 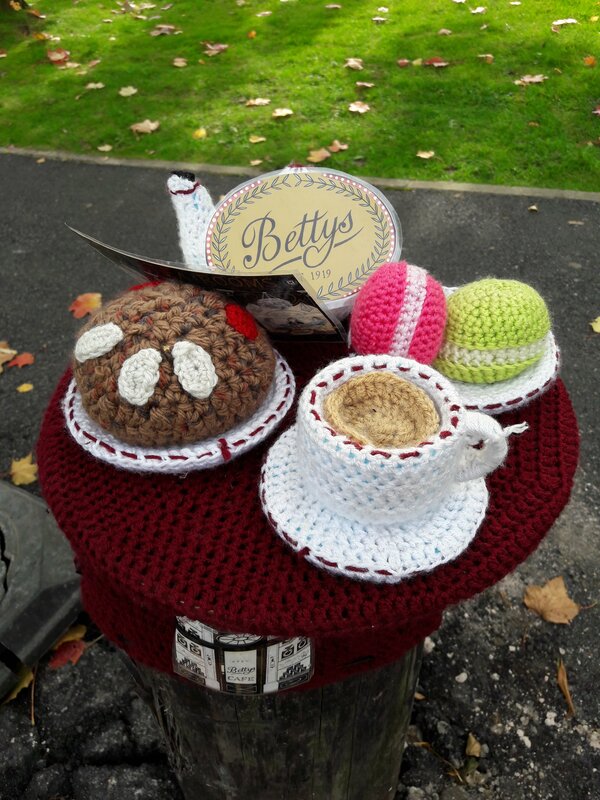 Episode 31 – Travelling Knitter!